Almost FOUR (four?! four. FOUR?) years since I first started my blog, and this is my 200th post. In someways, I consider this to be a huge solo-dance-party-worthy experience, but on the other side of the fence, it's a bit low. Just glance over to my side bar - the number of recipes per year has been slowing decreasing (67, 72, 41,18…) but I consider to be myself to be a better cook. Now when I approach my kitchen, it's a little more Iron Chef and a lot less exact. There will never be a day in which I stop referencing cookbooks or other food blogs, but now I'm much more comfortable approaching a spread of ingredients with only myself as inspiration. Ingredients are more ingrained and I know how nicely they play with their food friends. Tasting starts before I even start chopping the first onion. But how does this translate over to a food blog? For me, it doesn't. I take that back, it only kind of does, but it means less posts with more trust. Now when I post something, it's a recipe I have probably tried once or twice. The first time was to inhale and analyze the food without pressure of photography. Second is perfecting. Third is for the blog. Or in the case of this recipe, sometimes I rework a classic and put it on up. Back when Andy and I were back in Seattle, we made use of the first few catches of a salmon run but curing King Salmon with Aquavit. 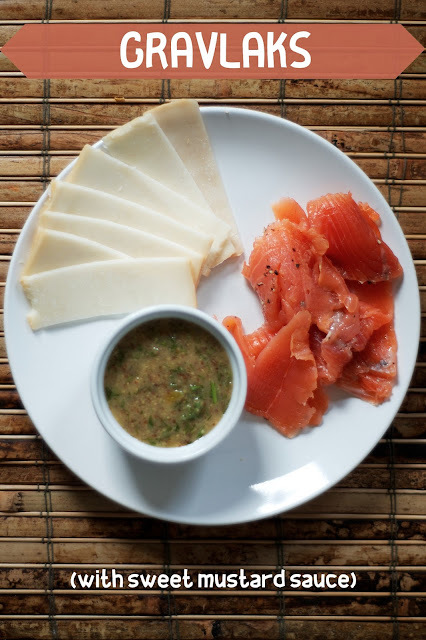 In my opinion, there is no better way to experience Pacific salmon then cured and on a slice of hearty rye bread. Cut to six months later, and while we are away from my beloved Pacific ocean, it's just as easy to find fresh and sustainable salmon on the Third Coast in Wisconsin. The basics of curing are simple and similar to my last recipe, but this time we cut out the Auqavit and upped the amount of sugar and salt. As far as meat goes, I recommend approaching the fish monger of your local food coop and having him select, cut and remove the bones of the best possible cut of fish. Rinse fillets in cold water and pat them dry with paper towels. Combine the salt and sugar, and rub the flesh side down in a deep dish just big enough to hold the fillets (we used a large glass roasting pan). Scatter the pepper, fresh dil, and dill seeds over it. Place the other fillet skin-side-up on top. Cover the dish with plastic wrap and place a heavy weight (such as a cast iron skillet like we did) on top of the fish. Refrigerate for 3 to 4 days, turning the fish every 12 hours and basting it with the brine that accumulates in the dish. Once cured, gently wipe the cure off the top of the fillets. Use a long, narrow, flexible, sharp knife to remove the skin from each fillet. With the salmon skin side down, grab the tail end, pinching it with your thumb and fingers. If the skin is slippery, use a paper towel to grip it. Use the knife to slice between the skin and flesh. Keep the knife at an angle, pointed down towards the skin, and use a rocking motion to slice under the length of the fillet and remove the skin. Once the skin is removed, flip the fillet over and trim off any pieces of skin still left on the fish. After the skin is removed from both fillets, store them in the fridge, well wrapped, where they will keep for at least a week. To serve, slice the salmon as thinly as possible by using a sharp knife to shave off pieces, cutting towards the tail end. Wrap any unused salmon and return it to the fridge. 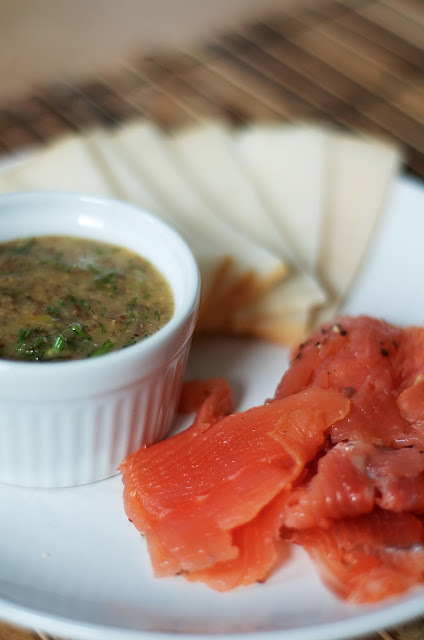 Traditionally, gravlax is served with mustard-dill sauce and rye bread. It’s also delicious just sneakily eaten plain, too! Just don't tell Andy I do that…. 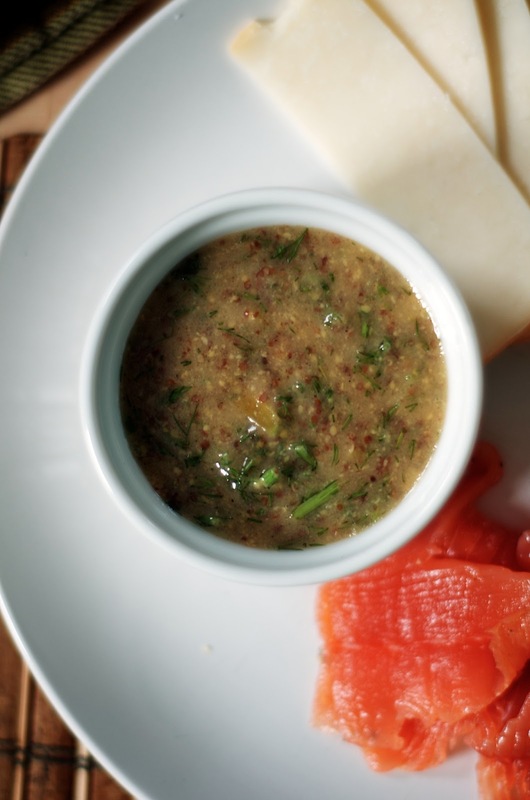 Combine the sweet mustard and 2 tablespoons of the Dijon mustard in a medium bowl. Add the sugar and 1 tablespoon of the vinegar. Gradually add the oil, whisking constantly. Adjust the flavors as necessary. The sauce should be neither overly sweet nor overly acidic. Add a little water if the sauce gets too thick. Stir in the chopped dill. It will keep, refrigerated, for 2 to 3 weeks.